 Is it a biblical experience?  Does scripture support it? When you get saved, when you accept Jesus, the Holy Spirit baptizes you into the body of Christ. This is the baptism the Holy Spirit performs. This is the Baptism that Jesus performs. Matthew 3:11: Jesus baptizes us with the Holy Spirit. The Baptism in the Holy Spirit is found in all four Gospels. 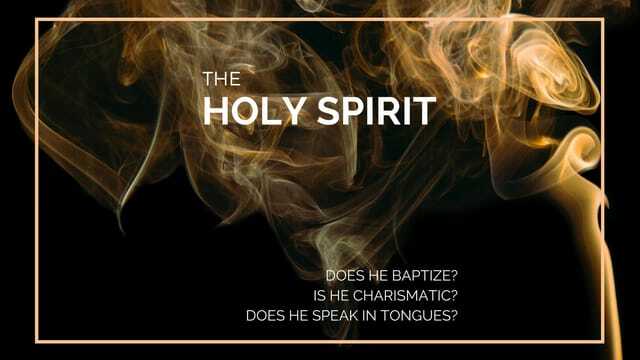 The Holy Spirit wants to come upon us. Do the baptisms have to be in a particular order?  Being saved always has to come first.  But Acts 10 describes how Cornelius and his gentile friends got saved and were baptized in the Holy Spirit before they got baptized in water. Why do so many believers live defeated lives?  They’ve only received one or two of the baptisms. Join us to celebrate America’s forgotten history, emphasizing the moral, religious and constitutional foundation on which America was built. We've all learned lessons and pieces in school, but so much of the story is often left out. Enjoy patriotic songs with Bill Lambert and a performance by Kid's Church. Slogans. Symbols. Sayings. How do you express yourself? As Christians, we know the Bible is a book of God’s limitless love, His promises, and His desires for our lives. And it’s in these words that we learn how to live and what to live for. Join us on Wednesday July 5 at 7pm and hear from 6 different Love Joy Members as they share a verse that has changed their lives. Childcare available. The front yard of our church comes alive with a FREE carnival for our neighbors on Wednesday July 26th. Help us bless our community by volunteering to oversee games, paint faces, cook hotdogs, make sno-cones or cotton candy and so much more. Sign up at the Welcome Center or contact Pastor Judy jburgio@lovejoy.org. Donations for hot dogs are greatly appreciated.